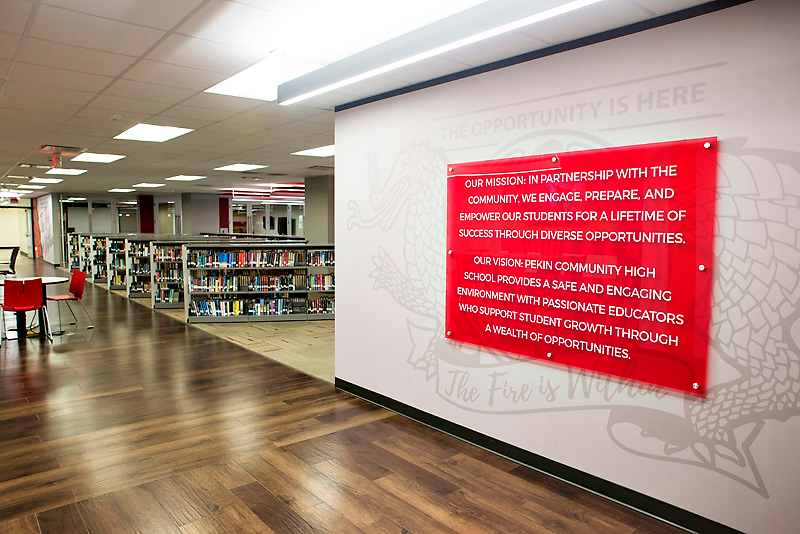 Pekin High School was looking to take an underutilized 10,700 square foot traditional library and turn it into an updated space that would better serve the needs of the school and its students. BLDD transformed the outdated library by creating a collection of multi-use spaces to accommodate small, medium and large group sizes. This was accomplished by adding flexible rooms that could easily be modified with the use of operable partitions. In addition to these functional group spaces, BLDD used collaborative, technology rich furniture giving the students and staff modern amenities that also help facilitate student engagement. Branded spaces that support flexibility and functionality have the power to increase engagement and redefine the educational environment for students and teachers. 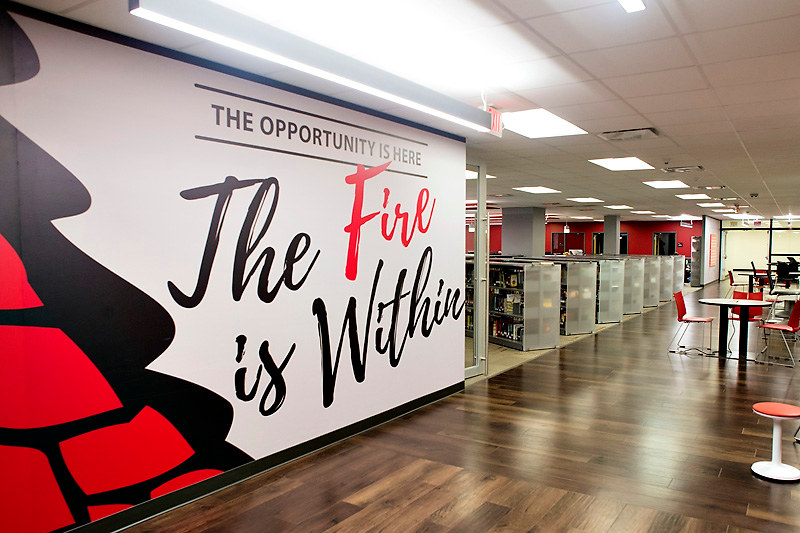 ​BLDD's environmental graphics team strategically used graphic elements and display units throughout to enhance the space and create a sense of pride. This also helps reinforce the districts' new brand with students, faculty and the community.